There is something that I always am impressed of Mr. David Miscavige. The importance he gives you. When he’s talking with you, it’s with you. You know. Normally, normally, people are talking with you and we all do that, blah, blah, blah, blah. No! With all the things he has to handle, with all the things he has to do, when he’s talking with you, he’s with you. The other day we went in a dinner, we was in a dinner, a little dinner with all these people that came together that work for humankind and blah, blah, blah. He was running, running, blah, blah, blah, the job, I saw him going to the room, going out, blah, blah, running. And in some point, I saw him going out and he realized that, and he went back and told me, “Bye María, nice to see you.” For me, that was like, “Oh my God!” How this person, how this being, how this huge leader, with all the things he has to do and with all the things he has in his mind, he has the awareness to perceive I wanted to say hello and go back and say, “Bye María, nice to see you.” And know your name, know your work, that is amazing, you know. 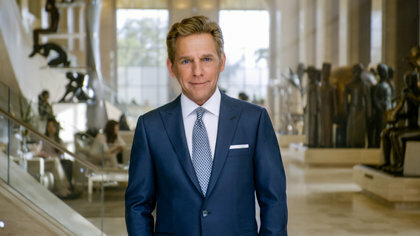 I think that Mr. David Miscavige is the perfect standard of life that inspires us to be a better human being and to help more and to push, to push, and to push to make of this planet a better place for everybody. A better place for Scientologists, for Catholics, for Jewish, for Muslims, no matter what. 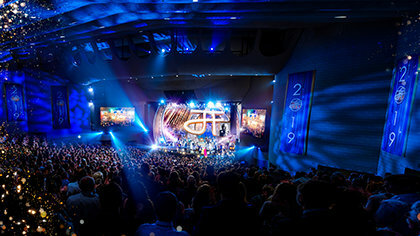 We are looking for a better planet and with Mr. David Miscavige as a leader, we are going to make it, I’m sure. © 2019 CSI. All Rights Reserved.